Whether you’re a PC gamer, console gamer, or mobile gamer, there’s one constant in your life: gaming accessories are everywhere. Each year, both first- and third-party gaming companies release a variety of accessories that all promise to enhance your gaming experience. Those accessories can be wheels for driving games, thumbsticks to attach to your controllers for better grips, or entirely redesigned controllers that let you map buttons the way you want. Of course, the accessories market is often dominated by third-party device makers, like Logitech and others, that make products that can appeal to gamers both on the PC and console, but first-party companies, including Nintendo, Sony, and Microsoft are also competing in the market. Those companies are often offering controllers and carrying cases, and if you need some additional storage or other features, you can often count on them to give it to you. But when it’s all said and done, your mileage on gaming accessories may vary. And for all the nice gaming accessories out there that actually enhance your gameplay experience, there are many more that you’ll want to stay away from. So, it’s with that in mind that we’ve compiled the following roundup of gaming accessories that come with outstanding Black Friday offers. We eschewed all the junk here and only focused on gaming accessories that will enhance gameplay and save you a few bucks in the process. 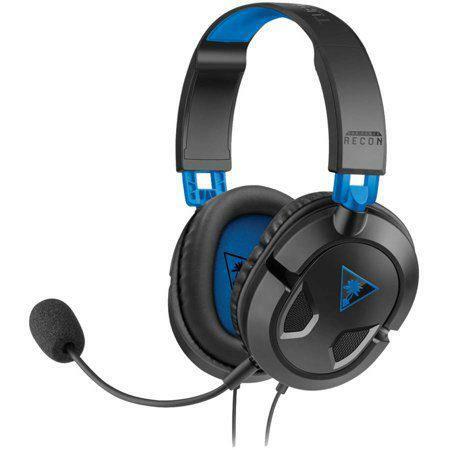 Turtle Beach Recon 50P Gaming Headset: You can buy it for $25, a $10 savings off its regular retail price of $35. Xbox Live 3-Month Subscription Card: You can get it for $12.50, a $12.50 savings off its regular retail price of $25. Xbox One Controller: Buy it for $39, a $10 savings off its regular retail price of $49. PlayStation 4 DualShock 4 Controller: Get it for $39, an $8 savings off its regular retail price of $47. Arcade1Up Galaga Machine: It’s yours for $249, a $50 savings off its regular retail price of $299.